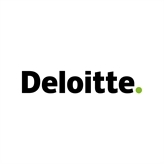 Deloitte Transactions and Business Analytics LLP advises clients on managing business controversy and conflict, executing deals, and maintaining regulatory compliance. We provide services to companies throughout their lifecycle from purchasing a company to investigating potential fraud. In 2008, Deloitte Transactions and Business Analytics LLP (DTBA) opened a new facility in Nashville, TN for e-discovery and computer forensics work. DTBA's E-Discovery Solutions Center ("EDSC") continues to increase the capacity, quality, and efficiency of DTBA' s e-file processing by utilizing state-of-the-art technology in a dedicated environment. We are looking for dedicated individuals to join DTBA's Analytic & Forensic Technology practice and help drive the success of the EDSC. * Assist the processing team with identifying areas for documentation and recommend improvements. In today’s global marketplace, organizations can become vulnerable to critical incidents that include international corruption, financial crime, enterprise fraud, cybercrime and supply chain breakdowns. Utilizing market-leading technology to uncover latent possibilities, our team advises clients on ways to mitigate exposure to these threats and turn business issues into opportunities for growth, resilience and long-term advantage. Learn more about Deloitte Advisory’s Forensics and Investigations practice. Want to get notified about new jobs at Deloitte?